Very few Southern California startups make it from seed funding all the way up through an IPO, and rarely do they do so with their original founder. One of Southern California's big success stories -- from startup, to venture funding, and a recent IPO--is Los Angeles-based TrueCar, which had its IPO in May. We spoke with Scott Painter, CEO and founder of the company--and already a successful serial entrepreneurs--about the journey from startup to public company, lessons learned, and his advice to CEOS who might be thinking about an IPO for their own company. Congratulations on the IPO. You've create success companies now quite a few times, how did this time go for you, and what kind of advice might you give entrepreneurs thinking about the public path? Scott Painter: It's interesting. The process of going public is a unique thing. However, it's probably less relevant to young entrepreneurs, than to entrepreneurs who are questioning how they make the leap from a startup to a growth company, and how to scale their business. There are just a whole bunch of things which are attendant to the process, which I would almost call Level 2 entrepreneurship. It's fundamentally different than the startup world. First of all, the process is unbelievably antiquated, and designed to put all sorts of checks and balances into the system to protect investors. It's a one-size-fits-all-policy. That means you end up doing lots of inefficient and unnecessary things as part of that world. But, net-net, being a public company is a threshold moment for use. It absolutely forces us as a company, to mature, and test all of your systems, and all different aspects of your business in that process. It's also a great challenge for a founder, to determine if you want to run a business, versus create a business. Creating a business is almost a fundamentally different skill set. I find myself today more protecting the vision of the business than anything else. Your thoughts on the IPO process and how it relates to those entrepreneurs? Scott Painter: It's a very American thing to go public, and it's certainly a pretty widely recognized milestone in a company's life. And, you certainly know going into it how complex it is, and all the things required when you're going public. But, until you've lived it, you can't fully appreciate it. It's not for everybody, just as I think becoming an entrepreneur is not for everybody. I speak at business schools all the time, and the first thing I tell students is they need to recognize if you're not really an entrepreneurs. The two tests are, number one, are you fatally optimistic; and number two, how much credit card debt are you willing to carry to back that belief? You have to be psychologically prepared to become an entrepreneur, and be able to overlook negativity and resistance to things getting done. Being a visionary implies that you see something no one else does. That's the definition of entrepreneurship, taking on the challenge that no one else is, and solving thing the way you want, and to prove that you're right and can build a business. Some of the core skills you need to have to be a young entrepreneur, is you have to be able to raise money, to recruit talent, figure out a business model, and have defensibility of your company, and know how to build your brand and build your company. All those things are rarely in the same person. Interestingly enough, if you think about going public, it's a whole other level, that almost doesn't relate at all to those things. In terms of complexity, being a public company is ten times more complex than being a private company. You have a whole new 25 to 30 percent of your time spend on nothing but being public. You can't really anticipate that impact. For us, given the momentum and validation this gives us, it allows us to do thing we probably would have had a hard time doing over the last decade. That's great. I would not trade that for the world. But, I think you can't underestimate the level or degree of difficulty there is in becoming a public company. What's been the hardest part of getting TrueCar to where it is today? Scott Painter: This is not unique to us. Like many companies, we had numerous, near-death experiences as a business. I think that's ultimately what defines a company, and entrepreneurs. How do you come through those episodes, how do you thrive and benefit from that experience? Not everyone survives--that's part of the test. I think if we look back at TrueCar, and the challenges we had, and the handful of near death experiences we had along the way, I always believed we added value and that we'd solve this problem. It really comes down to the quality of people you have to come around your opportunity. They must ultimately believe that they're creating a business which is solving real problems. There are big down times, and you have to get past those, and the most important thing is to be able to weather those storms. The way you can do that is by enlisting passionate believers, who are very talented at what they do. The entire, senior leadership team has to be focused on winning, based on the belief in the business, passion for that business, and an understanding the opportunity. Has it been difficult making your way in such an old and established business? 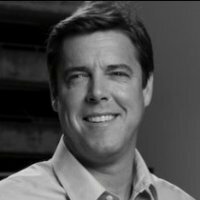 Scott Painter: I fundamentally believe that the size of the opportunity, and the size of the business is indirectly proportional to the degree of difficulty. There is no bigger category than automotive, and there's no gnarlier problem than buying a car. It's probably our biggest considered purchase, and there's a measurable and significant impact on the American consumer. Consumers are paying as much as 30 percent more for the same car, in the same month, in the same market. So you've got a very, very, big game that you're in, and nobody has really solved this problem. Most companies in our space are monetizing the inefficiency in this market, rather than making it more efficient, and there are lots of entrenched interests. To solve the problem, you have to break through. If you can do so, it will be rewarding, but don't think that there are any free rides in life. As large as automotive is, we had our share of uncomfortable moments. But, at the same time, we're more excited about our business today and the opportunity than ever. I think, as a business, we've broken through to a certain level of scale, which allows us to solve more of this problem. Quite frankly, if you come to this with the idea that you can create the ideal consumer solution, and that you can solve car buying, but you do it in a vacuum without understanding the realities of the market, it's just not going to happen. We're now in a place where we are big enough, and have enough momentum, and have enough relevant to all of the constituents--consumers, dealers, and the industry--that we can move things in the right direction. That's a pretty unique and rare place to be. I think there's a magic threshold, but I don't know where it is. It is clear, however, that with $100M in revenue, you become relevant enough in the ecosystem that we are in to get attention. To get people to pay attention to you in automotive, most of the names you know are all generating around $100M. In our category, we have about 3 percent market share, and we're only monetizing one dimension of a 4, 5, or 6 legged stool. We're not yet in auto finance, auto insurance, auto repair, accessories or trade-ins, all of which represent horizontal expansion possibilities for the kind of solutions we can offer consumers once we've earned your trust when you acquire a car. For us, the future is uniquely bright, because we've already made it through that test. It's going to be very hard for any new entrant or even existing incumbents to change their business model, and go after what we're doing. That's truly exciting, I would not have expected to be so invigorated in this a company's stage in the life cycle as I am. To those entrepreneurs who are farther along their journey, and looking at an IPO, what advice would you give them? Scott Painter: I think you have to have a great CFO, and have great legal counsel, Those two things are not givens, and they are absolutely required and essential. Until you are ready from both the accounting and legal point of view to be public, becoming public is a really bad idea. Your business can be doing very good, and you can be along your way to the moon in terms of numbers, and you can really be solving a problem--however, if you don't have your financial house and legal house in order, you'll be plagued by problems for a long time. In the run up to becoming a public company, 18- to 24- months in advance thinking you might become public, you need to get a seriously great CFO and a law firm that has experience doing this for other, similar companies. You have to make sure you are honest with yourself, and with the business, all the way through. If not, you will damage your business far more than if you'd never attempted to go public. Plus, going public is binary -- once you are in the chute, you're in the chute.